The New York Stock Exchange started with trading five securities under a buttonwood tree in the 1800s, but since the late 1990s, online trading has taken over the world of investment. How do investors find the right broker to do their bidding? It’s a veritable ocean of online possibilities out there, so having the resources to make the right choices for your personal investing is second to none. Stockbrokers.com rigorously measures up brokers to find the crème de la crème for any retail investor’s needs. To do this correctly, they publish the toughest and most comprehensive review in the brokerage industry and stand steadfast behind it’s sterling results. Since their research findings aren’t slanted or biased, the shareholder can make an informed verdict on who best to handle their money management. From it’s origins in 2009, the company’s managing director, Blain Reinkensmeyer, a former trader and financial blogger, quickly saw through the plethora of lowbrow and self-aggrandizing broker appraisals that weeded the web. From then on, his hallmark was clear—to conduct impartial reviews that would actually be advantageous to personal investors. RewardExpert recently had the chance to chat with Brandon Reinkensmeyer, managing partner of Stockbrokers.com, on the accomplishments and open culture of the company. The outfit was originally called TradeWiser.com, but rebranded as Stockbrokers.com in 2011. They are also a proprietary company of Reink Media Group. 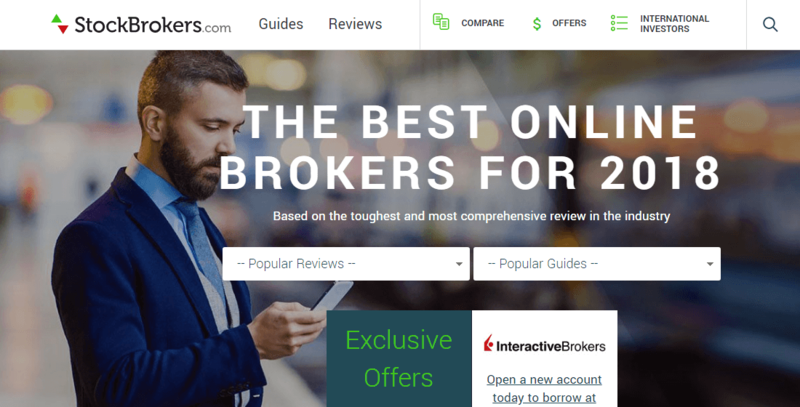 In 2011, Stockbrokers.com published its first review and has released eight annually since, garnering them the universal clout of having the toughest review in the industry. These assessments encompass 292 variables spanning over 10 core categories, and shelters more than 5,000 data points, creating an invaluable guide used to compare and contrast brokers. Consequently, with their array of appraisals, they can offer accurate, honest and intelligible facts to new investors. Testing brokerage reliability is done with the utmost scrutiny. Each broker that submits to the evaluation is required to finish a laborious profiling process and reconvene for a yearly meeting. All this amassed data is then authenticated, with a startling less than .001 percent error rate, earning them the right to stamp it with their “Verified Quality Data” seal, initiated in 2016. Electronic trading can change on a dime, literally. At times, keeping up with the technological trends can be just as taxing as it can be exhilarating. Smartphone dependency and the rise of “robo-advisors” (nonhuman, algorithm-based financial advisement) pose challenges in the online trade marketplace. Planning for this requires the adaptability and resilience to be constantly reassessing stakeholder needs. The air at Stockbrokers.com is a grateful and determined one, and the company proudly assumes their vital effect on the industry’s standards and practices. Their dedicated team members share a hunger and responsibility for guiding retail investors down the right roads for their securities management—and to ranking brokers’ proper execution of their fiduciary duties. This fall, Stockbrokers.com will release their ninth annual review, outlining new movements in online trading. That’s something for which all potential investors should be on the lookout. To find out more about how this company’s trusted online trade guidance can benefit your personal investment, visit stockbrokers.com.